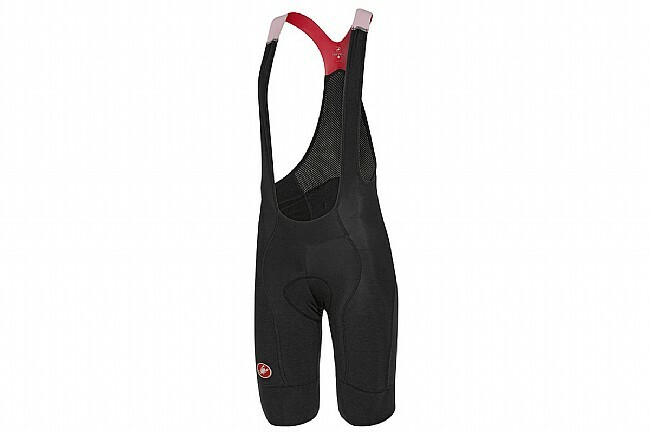 Castelli's Omloop Thermal Bib Short extends to just above the knee for increased coverage without restriction like that caused by knee warmers or knickers. The Thermoflex construction means fleecy warmth, with excellent stretch and breathability for a comfortable fit, and special raw-cut edges at the leg openings have a soft finish so they don't dig into the knees while riding. Inside, a top-of-the-line Progetto X2 seat pad offers unrivaled comfort on rides of any type, while up top, mesh bib straps keep everything in place without interfering with baselayers.